Spring and summer are the perfect seasons for some outdoor excitement. Whether it’s a family dinner or fun barbecue, your patio is your go-to for entertainment and backyard relaxation. But, with the days heating up, your patio may be losing some of its inviting appeal. 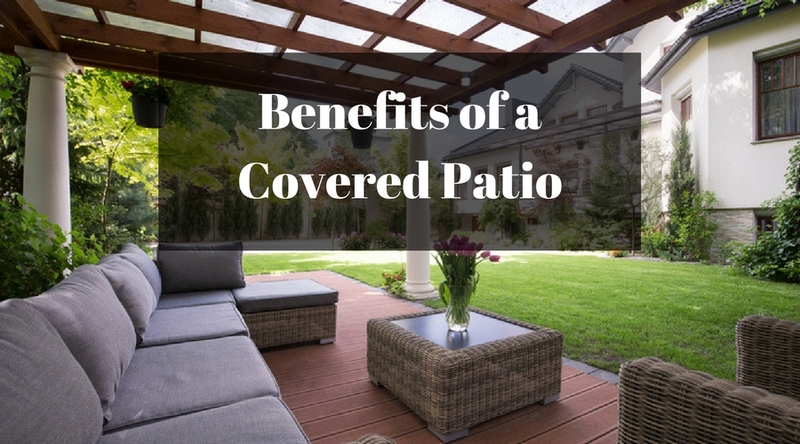 If this sounds familiar, it may be time to take a look at the benefits of a covered patio. Your covered patio can offer you even more than you may think, including some of these unexpected perks. Texas springs and summers can be unpredictable. One day it’s mostly sunny; the next it’s storming. This can make planning your outdoor get-togethers a bit tricky. With a gorgeous covered patio, however, you can enjoy your outdoor parties rain or shine. Depending upon the type of cover you install, your patio can be the ultimate safe haven from summer heat and sudden showers, keeping you and your loved ones cool and dry all year round. A covered patio can also keep your patio furniture looking better for longer. Direct sunlight, rain and wind can easily bleach your furniture and make it filthy in no time at all, requiring extensive cleaning and scrubbing to ensure your patio is always looking its best. 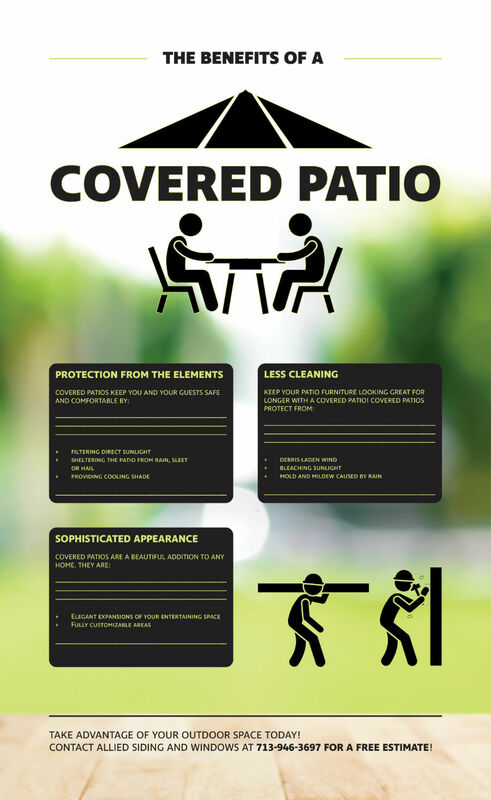 Covered patios remove many of the damaging elements from the equation by filtering sunlight to prevent bleaching, protecting furniture from rain, sleet or hail and breaking the wind to keep your furniture free of debris. Sometimes it can be difficult to dress up a plain slab of concrete in the backyard. As many homeowners know, the atmosphere can make or break an entertainment space. Covered patios provide just the right amount of sophistication and transition to an outdoor space. With elegant columns and relaxing shade, your patio can be transformed into the perfect party room. Covered patios are also excellent customizable spaces. Homeowners can decide how they’d like to utilize their outdoor oasis, customizing it to add personality and emphasize what’s most important to them. Do you want a large picnic table for family and friends? Is a fully equipped outdoor kitchen more your style? Any home design you’d like can be applied to your covered patio and make it truly feel like an extension of your living space. Tame the Texas summer! Don’t let it tame you. With the perfect covered patio, you can expand your home’s living and entertaining areas while increasing its value. Trust your home to Texas’s premium installer of covered patios today! Contact Allied Siding and Windows online or call 713-946-3697 to receive your free estimate.